Using a fork, roughly break up the goat’s cheese in a bowl. In the palm of your hand, roll balls of cheese (around 20 g each). inserting a stick into each one. Arrange on a dish. 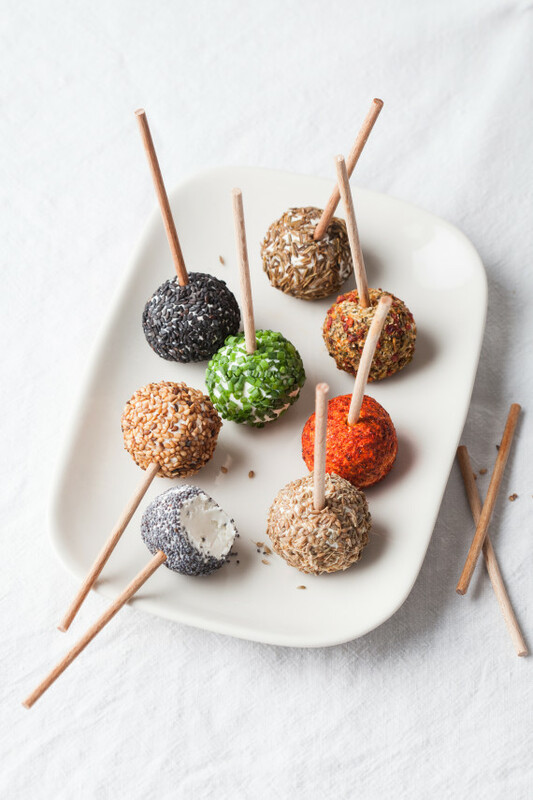 Serving suggestion: these lollipops are ideal to serve with pre-dinner drinks. Tip: use dry spices, seeds and herbs to ensure they stick to the cheese.